The ‘Middle Skills’ Gap: Half of America’s Jobs Require More Than High School Diplomas but Less Than 4-Year Degrees. So Why Are They Under So Many Students’ Radars? Mitchell Block is a lineman for two counties. He drives the main roads tending to the power lines along the western lakeside of Michigan. 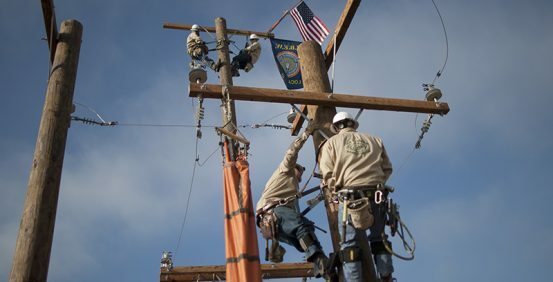 It’s more accurate to say Block is an apprentice lineman, a few months from earning his journeyman’s card after four years of training. He can look forward to a union-protected salary, … Continue reading The ‘Middle Skills’ Gap: Half of America’s Jobs Require More Than High School Diplomas but Less Than 4-Year Degrees. So Why Are They Under So Many Students’ Radars?